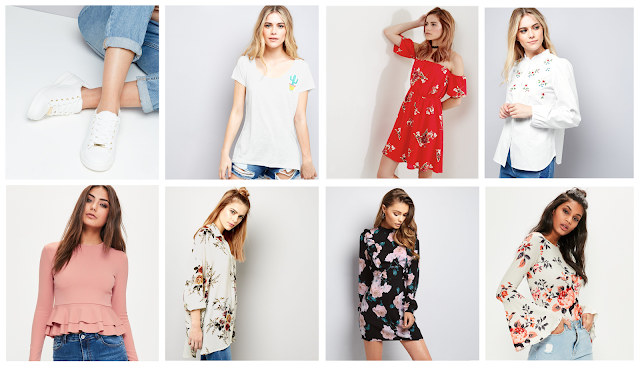 Over on the top I've picked a bunch of beauties from Miss Selfridge, River Island and Quiz Clothing and below there are some picks from Missguided and New Look. As you can tell my colourfulness is leaning more towards a particularly clean, feminine and pastel colour scheme rather than the bold I loved before. I'm still feeling that it's a bit quirky-cute as my friends and boyfriend would call my style though which I totally love. I'm feeling pretty sick of my wardrobe now and it needs a clear out once and for all. I certainly wouldn't mind replacing some bits with these gorgeous gingham, embroidered, striped, monochrome and pastel pieces! If someone gave me the money to, I would run and go for it all. My faves though are linked in bold. 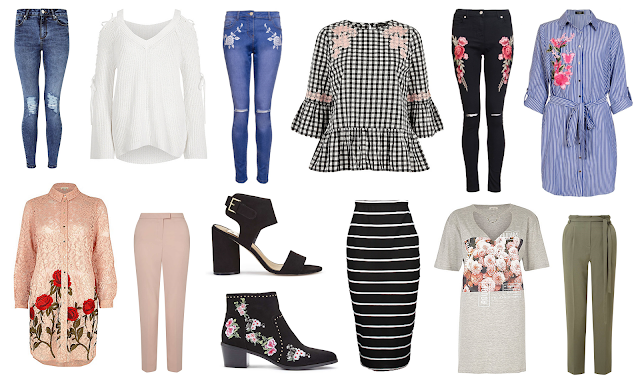 I haven't been feeling very inspired knowing I can't really shop but after a little window shop at the weekend I couldn't help but get myself online and write myself up a little wishlist of things not only seen in stores but online too. I was also feeling a little more inspired to blog abut fashion after that too so here I am! I'm going to try and post more outfits if I can. It's hard to knowing I've barely got a style at the moment but we will see what happens this weekend. What pieces are your favourites?